To conceive this work, I started from the Guarani cosmogony, the native population of the subtropical regions of South America, and from the idea that language is an order of the world and forges our vision of the universe. Working with the books of Yapisaka’s – Ver con los oidos by Garcia Ortiz Elio, Sylvie Vauclair’s – La Symphonie des étoiles and Dominique Proust’s – L’harmonie des Sphères; I wanted to relate the music of planets as theorized by Pythagorean acousmaticians and the melody of the language of the Guarani who see speech as a manifestation of the spirit of the universe. 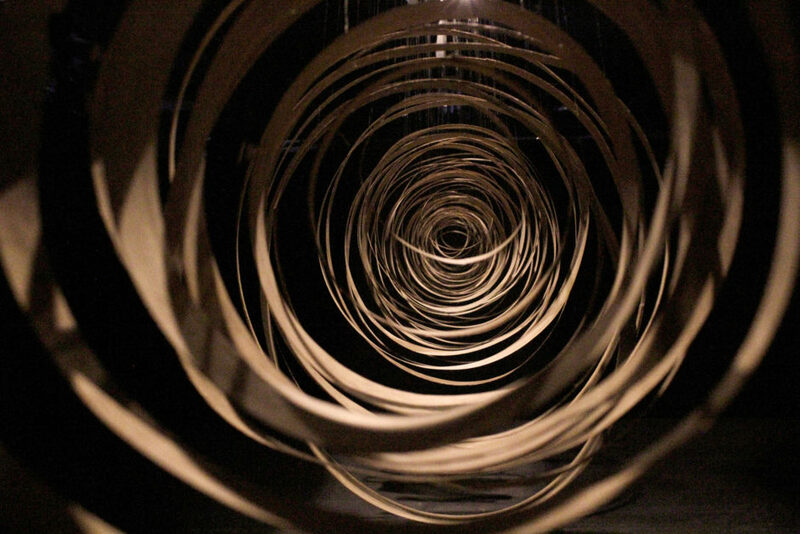 The installation thus takes the form of a series of suspended wooden rings representing the sonogram of a Guarani text that proposes a definition of ñee, that is to say, language. 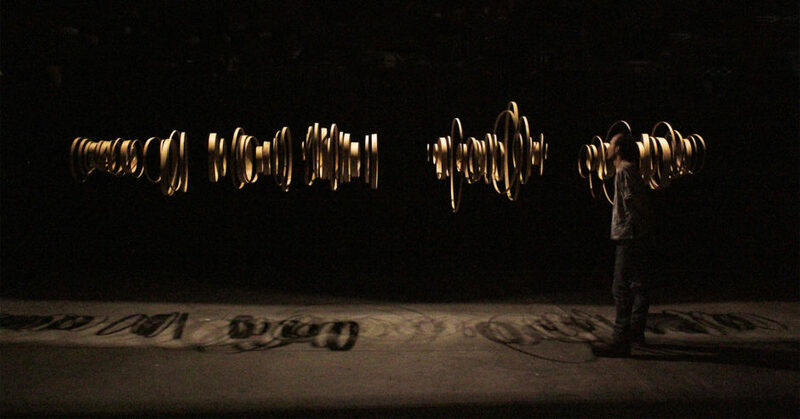 This sculpture is located at the center of a space that is inundated with a sound composition based on the musical scale of Pluto according to Joannes Kepler’s Mysterium Cosmographicum. The words in Guarani suddenly interrupt this score as if to give a reply to a cosmic conversation. Polyphony therefore seeks by a game of resonances that oscillate from music to language, from Man to cosmos, to expose our constant interconnection with the world, as vast as it is.